Before the desktop revolution in decades past in the age of film, an illustrator could be satisfied with solely knowing how to create an illustration. Illustrators would have their illustrations photographed or have original art delivered to a client or printer who would then have the illustration photographed. Only occasionally adventurous illustrators would learn enough about photography to photograph their own work. This was the exception rather than the rule. It was a printer that would scan the original artwork or a photo transparency, and then make technical adjustments to an image, apply crop and registration marks, and generate color separations for printing. Illustrators remained in a technology-devoid bliss. Fast-forward to now. When it comes to reproducing illustration, film-based photography is a thing of the past having been replaced by digital photography, digital scanning, and illustrating completely within a digital environment. Even more than a change in technology, there has been a shift in the relationship of an illustrator to the production environment. 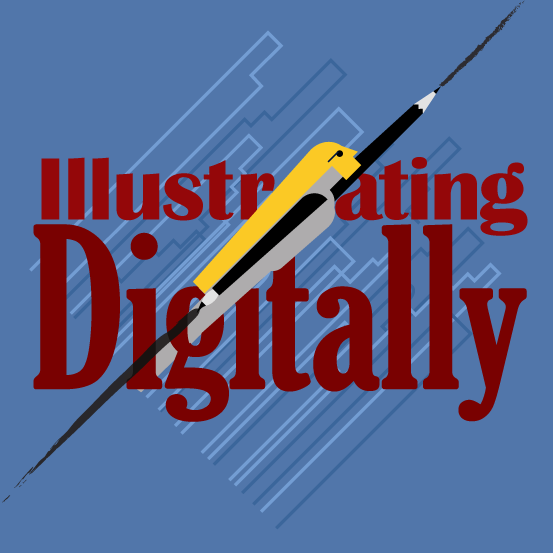 In todays digital age, illustrators not only have to know the craft of illustration, but they have to be proficient with setting up files for a work-flow, using digital dimensions (resolution), understanding digital color spaces, making color adjustments and retouching, working with device profiles, and selecting output protocols including digital file formats. For illustrators who work conventionally, it is now a necessity to be adept in recording work and translating it to a digital state, as well as preparing digitized work for output to print or digital media. All these areas of expertise are necessary because illustrators are now expected to integrate seamlessly with the work-flow of a project. Metaphorically speaking, we are expected to jump onto a moving train and know where it is going. Illustrators must be technologically savvy. File setup involves inputting the dimensional specifications for an illustration. This typically requires information provided by a client, printer, or webmaster including physical image size, orientation, and bleed requirements (if needed), units of measure, digital resolution, and color parameters. Illustrators must understand image resolution as it relates to image placement or final output in a print environment or display in a digital one. This requires knowledge of how ppi (pixels per inch) convert to dpi (dots per inch) or lpi (lines per inch) in print or screen resolution for desktop or mobile devices. Digital visualization software offers a variety of color spaces to suit the needs of digital and non-digital environments with each having its own purpose and uses. A basic understanding of all of the color options is now essential for illustrators. Spaces include RGB (the digital display model), CMYK (the print output model), HSV (the color theory model), Lab color (the color opposition model), Grayscale (the luminosity model), and Indexed color (the web compression model). In the past, making color adjustments to images and fixing minor irregularities was the sole proprietorship of specialists such as retouchers and color separators. Now however, illustrators are expected to be proficient in adjusting color and cleaning up images in preparation for display or output. To ensure proper display of illustrations in digital environments and for output through print devices illustrators must know how to use device/print profiles within their illustration files. A digital device/print profile is a descriptive index that is used by software programs to define of properties and limitations of a color space. A profile registry is a set of finite values that create meaning for digital display media or physical output media. Profiles exist for hardware devices, within software programs, and for physically displayed media. In many cases illustrators are responsible for preparing illustration files for final output or display. This involves managing file-handling protocols including print settings, color handling, rendering preferences, and other parameters that are required by a specific output device, display hardware device or other hosting situation. Fan art represents one of the fastest growing categories of illustration. Even so, it is a form of illustration that is besieged with many issues and conflicts. The problems that occur run the gamut from die hard cast in stone legal ones to problems involving the appropriateness of the art, and a bias against the art form itself. Fan art is a form of derivative art. Simply put, it is when an artist other than the originator uses imagery, characters, or settings created by an originating artist. For instance, when an illustrator uses Spiderman as a straightforward character in a promotional illustration. This kind of use requires the permission of Marvel Comics. In 1820 the author, Charles Caleb Colton wrote, “Imitation is the sincerest form of flattery”, which has perhaps, become a statement of justification that can be used to validate fan art. But before Colton wrote his famous statement, the English writer Eustace Budgell in 1714 wrote, “Imitation is a kind of artless flattery”. Although written earlier, Budgell’s phrase presents a much more modern-day appropriate sentiment. Many professionals in the visual communication field have the opinion that if not exactly ‘artless’, fan art is an unoriginal form of art at the very least. Many illustrators, as novices, long before they even thought about a career in illustration, drew their favorite characters from comic books, cartoons, animated movies, and video games. It was this sincere admiration for a character that motivated people to pick up a pencil and draw. And draw with a focused attention they hadn’t applied before. In many cases, this rudimentary form of fan art became the initial inspiration behind the career of illustrators, artists, and designers. So, is there a place for fan art in education? Well, the answer is yes, but it is probably not the type of fan art anyone would expect. When we think of fan art today, we think of subjects that originate in mass media such as comic books, cartoons, animated movies, and video games. However, by definition there is a form of fan art that has been a part of art curriculums for decades -- copying master works of art. In color theory class, I recall being required to select an existing masterwork for the purpose of interpreting the work monochromatically, with analogous colors, and opposite values using gouache. I chose a work by Robert Motherwell, other students chose works by Van Gogh, Mucha, Picasso, etc. Additionally, students in art classes can be seen in Museums copying works of art. An accepted practice, artists often learn specific techniques evident in an existing work of art by attempting to copy them. This is important to know. According to US copyright law, fan art using settings and characters from a previously created work could be considered a derivative work, which means the copyright would be owned by the character/settings originator. The originator retains all rights over his or her creation. So, if I did an illustration that included Spiderman, I would not own the copyright of my own work! And technically, any display of my fan art Spiderman would be an unlawful distribution of a derivative work. So, is fan art okay? 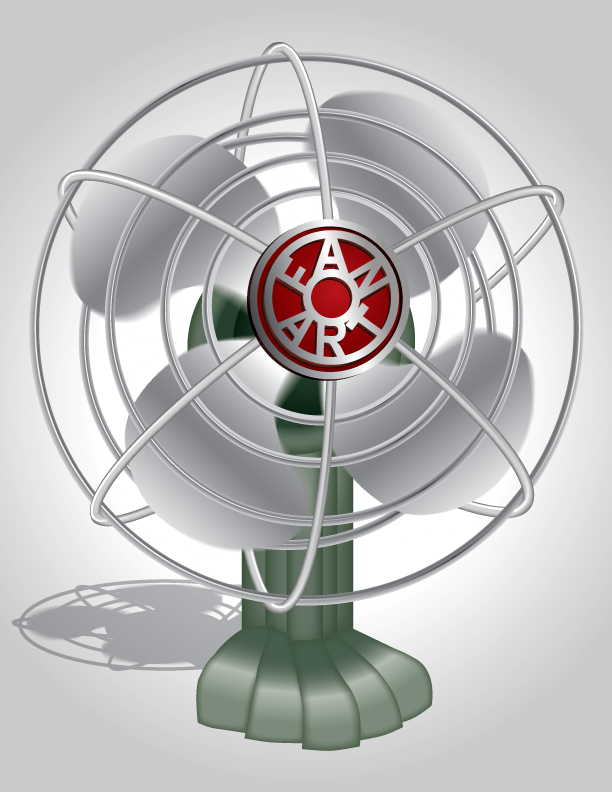 Taking a cue from ‘Fan Art In Education’ above, fan art may have a place as a learning exercise. Just as musicians learn by practicing established music compositions, so fan artists can learn and practice their craft by imitating the works of others. Copyright restrictions exist for art and music when it comes to publication and commercialization. In both cases a fan artist or a musician is bound by copyright law not to abuse the rights of the creator/originator. Any abuse is both illegal and unethical. The parodying or making fun of a copyrighted character or situation does not require permission of the copyright owner. This falls into the category of “fair use”, but it doesn’t necessarily mean you won’t end up in court. Fair use is the use of a copyrighted work, for purposes such as criticism, comment, news reporting, teaching (including multiple copies for classroom use), scholarship, or research. If the reason for use of a copyrighted work falls under this description it is not an infringement of copyright. However, the following factors go into determining whether the use would be considered fair use: The purpose and character of the use, including whether such use is of a commercial nature or is for nonprofit educational purposes; the nature of the copyrighted work; the amount and substantiality of the portion used in relation to the copyrighted work as a whole; and the effect of the use upon the potential market for or value of the copyrighted work. The fact that a work is unpublished shall not itself bar a finding of fair use if such finding is made upon consideration of all the above factors. Showing derivative fan art is risky business, especially as work samples or in a portfolio. Doing so raises several issues. A bias does exist against the art form. Many feel it does not promote original problem solving or thinking, even in parody form. It is not considered intellectual property (IP). It is looked at as a practice exercise. Most believe it is not original work, so it is either dismissed by reviewers, or triggers a negative impression. It is scrutinized for its craftsmanship. If an employer considers or desires fan art, then exceptional quality is expected. The internet offers new and wide-ranging possibilities for illustrators seeking full-time job positions or freelance commissions. Websites are now established that connect employers with potential employees, and job seekers with employers who are advertising positions for hire. 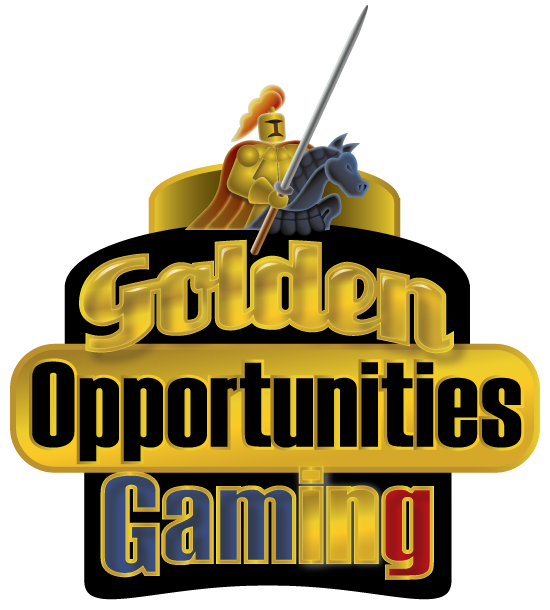 Although by no means complete, the list below is provided as an online resource for those who are looking for work with special emphasis on the gaming and entertainment industries. Online job resources should be combined with other job prospecting activities. Along with full-time employment and freelance sites, directories to various agencies and lists that can be a source for information and connections are also provided. Not represented here are sites that require a browsing fee, membership subscription, or the purchase of a list or book. One key to success in searching for jobs online is to target the sites that are the most popular among employers seeking employees for their specific industries. For instance, a site such as CreativeHeads is likely to have more qualified job listings for game character illustration than another more generalized job site. Although it is easy to click on a link and very quickly begin to search for job offering it can also be a bit tricky as well. So here are some suggestions that should help when you enter one of these sites. Nearly every one of these sites uses its own terminology to categorize a type of job. For instance, one site lists gaming jobs under the category of “Art/Animation” while another site lists them under “Design & Concept”. Most of these sites use a combination of word types to classify categories and jobs. So a site might use career classification words like “Illustration” and Graphic Design” in the same category list with type of work words like “Gaming” and “Concept Art”. Some even add skill descriptive words to the list like “Photoshop” or “InDesign”. To really get to the heart of a job offering you should follow the link and subsequent links until you are able to read the entire job description and obtain the information you need. Some of the listings are only partial descriptions of jobs or freelance projects. Many of the listings state the compensation amount up front, some are realistic, and some are nothing more than highway robbery. Freelance jobs can be listed by a fixed price or by an hourly rate and number of hours. Take care. Some sites are set up to benefit the employers while others try to benefit job seekers and freelancers. Some job titles are well established and understood by the industries they serve such as Graphic Designer, Industrial Designer, etc. Other job titles are much less defined and can vary widely in job descriptions. One of these is “Concept Artist”, which to an employer can mean anything from Visual Developer to, Animator, to Storyboard Artist, to User Interface Designer, to Digital Painter, to Game Artist, and others. With the slogan “Jobs For The Right Brains”, CreativeHeads.net boasts the most comprehensive recruitment software solution for professionals in the Video Game, Animation, TV & Film, and 3D Technology & Software Tools industries whether they are employers searching for job seekers or job seekers looking to secure the "right" job. Their primary objectives are to offer job seekers access to job opportunities across multiple creative content industries and provide Employers with a highly economical, effective tool that streamlines their staffing and recruitment process. CreativeHeads.net is not just a job board but also a conduit that will facilitate communication and the rapid exchange of information between employers and job seekers. Our mission is to allow people to be as creative in their career and business choices as they are in their work! Job seekers can search by keyword, industry, occupation or company location. Specializing in entertainment job and internship listings, Entertainment Careers lists all sorts of jobs, everything from art and animation to casting to acting to broadcast jobs, and more, in the entertainment, sports & music industries, at studios, networks, production companies, etc. Jobs in Film, TV, VFX, animation, production, post-production, and design are among the positions listed. Internships are also listed. Entertainment Careers represents hundreds of employers including the largest names in the entertainment industry. Companies include Disney, Warner Brothers, MTV, HBO, CBS, ABC, etc. Entertainment Careers also provides useful links to information such as “Types of Studio Jobs: Hollywood”, “Promote and Protect: How to Safeguard Your Creative Work From Theft”, and more. GameJobs distinguishes itself from competitors by being one of the few, if only, dedicated business for the interactive entertainment industry. The first, the largest, and the most comprehensive, game job site serving the international business community. A go-to destination and staple for the industry's leading recruiters with hundreds of active job listings currently posted. Counted among the long-term supporters of GameJobs.com are such notable gaming publishers as: Electronic Arts, Midway, Microsoft Xbox, LucasArts, Activsion, Vivendi-Universal, Sony, and Nintendo to name a few. GameJobs.com features an all-new design that is intended to aid in site navigation while affording the visitor tools that will be useful in their objective. To that end the site is divided evenly between job seekers, with services designed to aid potential employees in finding the right match for their skill sets; and a second section entitled "employers/recruiters", which aims to make the recruitment listing process well worthwhile. Every day since 2004, Cartoon Brew has delivered the latest news, trends and ideas in animation to over 25,000 different artists, entertainment execs and cartoon aficionados. The site includes an extensive job listing for the entertainment field with a main emphasis on art related jobs, which makes it a first choice stop for animation professionals and artists looking for employment in the entertainment industry. Cartoon Brew is the go to site for many prominent animation and motion-based arts firms to list the jobs they have available. In addition to job listings, the site also contains industry news features as well as sections on the animation business, technology, and artist's rights. It even serves as a forum for animators and firms to display their films and short animations. Industry Associations provide a rich source of information as well as a way to network with other professionals in the field. (IGDA) is the largest non-profit membership organization in the world serving all individuals who create games. As an international organization, IGDA is a global network of collaborative projects and communities comprised of individuals from all fields of game development from artists to programmers and producers to writers. IGDA holds key industry conferences, and has over 90 local Chapters and in Special Interest Groups (SIGs) to improve their lives and their craft. They advocate on behalf of our membership to ensure quality of life, perpetuation of the craft and preparing the next generation of developers. Whether you're a student with a goal to become a game developer or a seasoned veteran, regardless if you're based in the U.S. or any country/region in the world, whether you're an indie developer or in a AAA studio, whether your primary platform is a PC, console or a tabletop IGDA welcomes you. IGDA’s mission is to advance the careers and enhance the lives of game developers by connecting members with their peers, promoting professional development, and advocating on issues that affect the developer community. Located in the UK, TIGA is a non-profit trade association representing the UK's games industry. Our members include independent games developers, in-house publisher-owned developers, outsourcing companies, technology businesses and universities. TIGA's vision is to make the UK the best place in the world to do games business. We do this through Government lobbying and maintain a voice in the corridors of power at both the Westminster and Scottish parliaments. We have an active press department that promotes our ambitions among the trade press, national press and on TV, radio and online. TIGA is the voice of the UK games industry. A excellent source for information on careers in the gaming industry, the Game Career Guide contains features on gaming, forums, and information on schools. There is also a link to Gamasutra a website that lists jobs for “The Art and Business of Making Games” http://jobs.gamasutra.com/. There is even an automated “Digital Counselor” that upon completing a questionnaire, provides guidance to career resources. One of the first employment sites that appear when using a search engine to locate illustration jobs in gaming and entertainment is SimplyHired. A well organized, well thought-out site, SimplyHired has search and advanced search engines that allow a job seeker to pinpoint job listing based on job type, title, location, company, most recent posting, etc. There are also job search tools that provide an average salary amount for a specific job title. There are also special filters that can be applied such as recent graduate, Fortune 500, etc. Job type filters include full-time, permanent, part-time, internship, and more. There is even a filter for educational requirements. Special Note: When searching educational requirements for “game character illustration”, of the 143 jobs listed, 139 of them required a Bachelor’s degree, the others were one Masters, one professional, one high school, and one no requirement. Glassdoor has listed millions of the latest jobs and allows you to see which employers are hiring, what it's really like to work or interview there according to employees, and how much you could earn. Unlike other jobs sites, on Glassdoor, employees about their companies share information. Glassdoor holds a growing database of 6 million company reviews, CEO approval ratings, salary reports, interview reviews and questions, benefits reviews, office photos and more. What differentiates Glassdoor from other recruiting channels is the quality of job employers and our influence on candidates' decisions as they research jobs and companies. Another huge advantage to Glassdoor is that it is also available via its mobile app on iOS and Android platforms. Glassdoor also provides links to interview experiences written by actual candidates, understanding interview questions, and interview tips. Whether you need a job or need to hire, iHireCommercialArt is a niche job board dedicated solely to the Commercial Art industry; they bring Commercial Art jobs and Commercial Art job seekers together to make successful employment possible. From illustrators to photographers to art directors and more, you can find a job or fill an opening quickly and easily on iHireCommercialArt. For job seekers, we take the "search" out of your job search. iHireCommercialArt gives you a single place to find Commercial Art jobs that are posted across the internet. We don't just wait for employers to come to us; we also actively collect online job listings from places like small and large business websites, employment classifieds, government databases, industry associations and more. As a member of iHireCommercialArt, you can access all of these jobs in one place so you spend less time searching and more time interviewing. Jobs can be searched for by job title alone or by job title and state. The site lists 3D Designer Jobs, Art Director Jobs, Art Manager Jobs, Artist Jobs, Associate Art Director Jobs, Cartoonist Jobs, Color Design Consultant Jobs, Design Assistant Jobs, Desktop Publisher Jobs, Exhibit Designer Jobs, Fabric Designer Jobs, Graphic Artist Jobs, Graphic Designer Jobs, Graphic Technician Jobs, Illustrator Jobs, Interior Designer Jobs, Layout Artist Jobs, Medical Illustrator Jobs, Multi Media Animator Jobs, Multi Media Designer Jobs, Mural Designer Jobs, Painter Jobs, Pattern Design Jobs, Photographer Jobs, Promotion Designer Jobs, Scientific Illustrator Jobs, Set Designer Jobs, Technical Illustrator Jobs, Textile Designer Jobs, and Videographer Jobs. 1. You can set up a profile and tell us which types of jobs you are looking for. Each week, we’ll email you new matching jobs so you can stay current on what jobs are available in your area. 2. You will be able to upload your resume and make it searchable. Making your resume searchable is optional, but, by doing so, you allow employers in our network to find you and view your resume when they look for candidates with your qualifications. 3. You will be allowed to search jobs. As a Basic Member, you will see the full content (title, location, company, description, how to apply) of our featured jobs. The content of non-featured jobs is reserved exclusively for our Premium Members, but you can browse their titles and partial descriptions to watch for that perfect opportunity. Since 2004, Indeed has given job seekers free access to millions of jobs from thousands of company websites and job boards. As the leading pay-for-performance recruitment advertising network, Indeed drives millions of targeted applicants to jobs in every field and is the most cost-effective source of candidates for thousands of companies. Founded by Paul Forster and Rony Kahan, Indeed is a subsidiary of Recruit Holdings Co., Ltd. Indeed have offices in Austin, Mountain View, New York and Stamford in the US, as well as offices in Dublin and London. You can search for jobs from the Indeed home page or in the 'What'/'Where' boxes at the top of any page. To run a search, simply type keywords into the 'What' box describing the kind of job you want, and enter a city, state/province or zip/postal code in the 'Where' box. Then click the 'Find Jobs' button or hit the Enter key on your keyboard. Take a look at their job search tips for more guidance, or try the advanced job search for additional options. After you've run a search, click on any job title to view the job details. This takes you out of Indeed to the website listing the job. You can upload your resume to the site so employers can find you and have access to your work experience, skill set, and credentials. Advanced search allows you to search by job title, location, salary level, job type, and more. Job title searches generate the number of jobs listed along with subcategories under major job types such as “Graphic Designer”, which yields Web Designer, Art Director, Graphic Design Intern, Designer, Junior Graphic Designer, Junior Designer, Senior Visual Designer, Senior Designer, Interactive Designer, Design Intern, Ui/Ux Designer, etc. Find The Right Job allows job seekers to search for jobs by industry. Under the Arts/Design Jobs category careers in animation, graphic design, game design, advertising, architecture, fashion design, interior design, photography, illustration, and industrial design await those who wish to enter the wonderful world of arts and design (their language not mine) are all listed. Registration is required to access the full search database. The job portal offers a quick and easy way for job seekers to view local, relevant job listings and apply for the positions that are the best match. Job seekers can also subscribe to "News You Need," featuring insightful blog entries on popular career fields, social media, preparing for the job search, and strategies to get the job. Job seekers can read up on "Employer Trends," with helpful entries on hiring resources, entry-level placement, commission position placement, and employer attitudes. Monster pioneered the business of digital recruiting in 1994, and today we are the only online recruitment provider able to service customers on a truly global basis. Monster Worldwide has an unparalleled international reach with a presence in approximately 50 countries around the world. Monster pioneered the notion of helping people get more out of work by showing them that a better job was out there. And helping them find it at Monster. But the workplace has evolved; people expect more control; people seek more perspective; people crave more enrichment. Monster believes it is more than just a marketplace for jobs. Monster doesn't just sell better jobs they say they want to help promote better lives. Although Monster is not as illustrator/artist centric as some of the other job listing sites, you can still enter a job title, keywords, company name, or location to conduct a search. You can also browse categories and industries for listings. Some of the category listings include Creative Design Jobs, Editorial Jobs, IT Jobs, etc. Industry selection choices include Advertising Jobs, Personal Services Jobs, and Education Jobs. Personal information such as a resume can be uploaded to Monsters database. There are even resume writing tips to assist you with writing a resume. Monster contains many articles about the entire job seeking process as well as other career resources, advice and services. Monster also contains a salary wizard powered by salaries.com that lists salaries by job title and location. CareerBuilder was founded in 1995 and now has more than 24 million unique visitors a month visit CareerBuilder to find new jobs and obtain career advice. With more than one million jobs, CareerBuilder.com® is the largest career site in the United States. CareerBuilder has tools for every part of your job search including résumé writing assistance, skills training, and free skills tests and salary calculators. Get expert advice on job search tactics, employment trends and workplace issues from CareerBuilder’s vast library of articles and videos, as well as its job seeker blog, www.TheWorkBuzz.com. You can still enter keywords and/or location to conduct a basic search or you can browse by category, company, city, or state. A dropdown menu to help with Careerbuilder’s terminology supports keyword entries. For instance, when I entered “Illustration” in the title search, Careerbuilder suggested “Visual Designer Illustrator”. Using that title search resulted in more listings. Careerbuilder provides resume services including an online resume builder and even a resume writer that provides basic statements and templates for a fee. The site offers job matching technology to target jobs that match keywords in your resume, the jobs you view and might apply for. The more you use Careerbuilder.com the better the job matches become. Uploading your resume is the easiest and fastest way to start getting Job Recommendations. One of the best offerings on the Careerbuilder site is the link to Jobology: 153 Ways to Improve Your Job Search, a 19-page well organized guide to job searching. Since 2005, qualified candidates have been applying for great opportunities at Apple, Facebook, MSNBC.com, frog design, The Motley Fool, Estée Lauder, Turner Sports Interactive, ESPN, HBO, Phinney Bischoff, Garmin, Sony BMG, Electronic Arts, HP and many other companies large and small. Our filter controls make it easy to narrow your preferences and save them in your account. In addition to listings being featured on authenticjobs.com, listings are also featured on cameronmoll.comand on about 20 partner websites that are targeted to the job seekers you’re hoping fill your position. Together, these sites capture millions of page views every month and hundreds of thousands of unique visitors. Not as illustrator/artist focused as some of the other job listing sites, you can look for opportunities by the type of job you are seeking. The categories include Full-time, Part-time, Contract, Freelance, Moonlighting, and even Internship. Krop started in 2000 as a private mailing list among top designers, eventually growing into a small job board on our design community website, Newstoday/QBN. Krop provides a creative industry job board and portfolio hosting website that is used by the most talented candidates at all experience levels, and the globe's most respected creative brands. A creative industry standard, Krop.com is visited over 1 million times a month while still owned by the same designers who started it. Krop lists an impressive group of clients including GUCCI, Apple, Forbes, Nike, Google, Guggenheim Museum, Yahoo!, Facebook, Motorola, ABC News, Turner Broadcasting, The New York Times, Nintendo, Orbitz, Deep Focus, Dreamworks, Microsoft, Paramount, NBC, ABC, MTV, Netflix, VH1, ESPN, FOX, and many, many more. Krop not only lists jobs that can be searched by keyword and location, but the site also provides the tools to format and display a portfolio so employers can review the work of artists. They also feature work in a place, which they call “Pluck’t”. Design-driven companies worldwide use Coroflot to recruit a full spectrum of creative talent. Coroflot is widely used by artists and creatives to display projects and portfolios of their work, but Coroflot also hosts a job board that lists job offerings from some of the most respected creative employers out there. With over 1000 job listings Coroflot is definitely worth following. Categories include Animation, 3D Modeling, Character Design, Concept Art, Fashion and Apparel, Illustration, Model Making, Soft Goods, Graphic Design, Set Design, and many more; employers such as Hallmark, Landor and Associates, NBC, Puma, 3M, etc. A job listing that is provided by Behance, Illustration Served offers jobs listed by employers that can be filtered by category. The categories are general areas of arts such as game design, illustration, drawing, fine art, etc. Somewhat newly established the site is limited in the number of employers who are listing. As the name implies, Elance is a site devoted to connecting employers with freelancers on a project-by-project basis. Elance is a popular place to find, hire, manage and collaborate with online freelancers, and for freelancers to do likewise. As of this posting there were nearly 6000 job posts under the category of Design and Multimedia, which contains a number of subcategories including Illustration, Art, Cartoons & Comics, Graphic Design, Logos, Animation, and many more. Jobs vary widely in the amount of compensation listed, but there are some that are fairly priced. Artists can also post a portfolio so that employers can view their work and offer them commissions. Guru for Freelancers offers the opportunity to market sought-after skills to a global audience with minimal cost. Innovative features, such as online portfolios, give Freelancers a cutting edge platform on which to highlight their skills and experiences in attracting or retaining business. Total Marketing Score data teaches Freelancers about their personal strengths and weaknesses so that every service provider on our site has support in becoming a successful free agent – an online entrepreneur with a core market niche. Even if you work with an employer on the other side of the world, your payment is secure using SafePay. The employer pays us before the work begins. As approved milestones are reached and the employer approves the work, we pay you. The Art Design and Multimedia Category contained well over 9000 listings in the categories of Design, Illustration, 3D, Animation and categories of software expertise in Photoshop, Illustrator and InDesign. There were 1800 in Illustration alone. Job compensation is listed by an hourly rate and a job minimum. Jobs vary widely in the amount of compensation listed, but there are some that are fairly priced. oDesk adopted a few simple principles to ensure success for all users, including the oDesk guarantee that an hour worked is an hour paid, and an hour paid is an hour worked. oDesk believes that as a Freelancer, you have the right to be paid for every hour worked—on time, every time; work where you want, when you want; set an hourly rate based on your skills, experience, and reputation; and have access to the tools you need to build your business online. Creative job listings can be found under the major category of Design and Multimedia, which listed almost 6500 jobs. Subcategories include Illustration, Print Design, Animation, and more. Illustration had over 475 listings. Jobs vary widely in the amount of compensation listed, but there are some that are fairly priced. Freelancer.com is the world's largest freelancing, outsourcing, and crowd-sourcing marketplace for small business with over 10 million users to hire a freelancer for contract work. In the Design Media and Architecture section you can browse through more than one hundred skill categories including Illustration, Covers and Packaging, Graphic Design, Caricatures and Cartoons, Animation, etc. As a service to its freelancers, Freelancer offers advice to freelancers about the potential pitfalls of contract work and how to avoid them. You can check the employer’s profile for details that will give you a general idea of what type of employer you are dealing with. You can also look at a user’s reputation rating and read feedback left by other freelancers about their experiences working with that employer. This feedback, when available, can be indispensable in providing an overview of an employer’s interactions with past contractors. Jobs vary widely in the amount of compensation listed, but there are some that are fairly priced. A long time fixture in the advertising industry, Advertising Age Magazine provides an online directory of Advertising agencies with links to all the agencies listed. Job seekers can follow links to the company websites to follow up on job possibilities. The Comic Art Links Directory provided by Dragonberry not only proved a large list of comic artists with links to their individual websites it also provides a directory of comic book publishers with links to their sites. These sites could be possible locations for job seekers interested in the comic industry. The Core 77 Directory is a comprehensive guide to the design firms and creative agencies. Core77 publishes articles, videos, discussion forums, an extensive event calendar, and a database of design firms, schools, vendors and services. Core77 provides a gathering point for designers and enthusiasts alike by producing an annual awards program, design competitions, lecture series, parties, and exhibits. Its sister site, Coroflot, focuses on designer portfolios and design jobs, and boasts a population of over 235,000 portfolios, all searchable from anywhere on the internet. There are links to the websites of over 40 artist’s representatives in the Directory’s Artist’s Rep Index. These sites not only display the work of the artists that are represented, but many have contact information and directions on how to submit work for consideration. The Agent List claims to be the best way to find artist agents worldwide. And although it is primarily geared to photography reps, there are a number of reps listed that do illustration also. The site is searchable by agent, keyword, or location. Another Directory of artist’s representatives is DMOZ. With over 30 organizations listed DMOZ can connect an illustrator to rep firms that may specialize in their particular area such as storyboards. The DMOZ acronym comes from directory.mozilla.org, its original domain name. Folioplanet.com contains a directory of representatives as well as a list of their talent and a link to their websites where contact info can be found. The Yellow Pages is an often forgotten resource these days, and it is now accessible online. As an example the web address below provided links to over 100 artist representatives in the New York City area.